Wishing you a peaceful, happy 2016. I wanted to share a quick update on goings on at the start of this new year. First, I am very excited to share about my latest documentary – The Alice Gerrard Project. 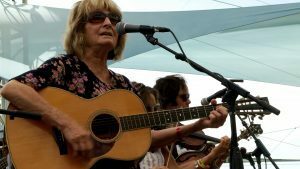 The film will follow legendary musician, songwriter, documentarian, mentor, and advocate for Old Time music over a year, capturing her latest musical collaborations and performances, ongoing work on a photo documentary book project, training sessions with her dog Polly, and more. It has been great fun getting to know Alice and I look forward to collaborating with her and others on the film in 2016. Bending Sticks: The Sculpture of Patrick Dougherty had its broadcast premiere on PBS and UNC-TV January 25th as part of the Reel South series. 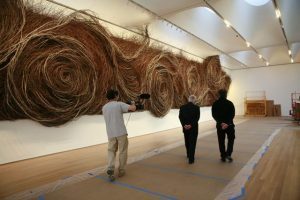 The film and series will be airing again across the UNC-TV network in coming months, on the SCETV (South Carolina) stations, and other PBS stations across the US. 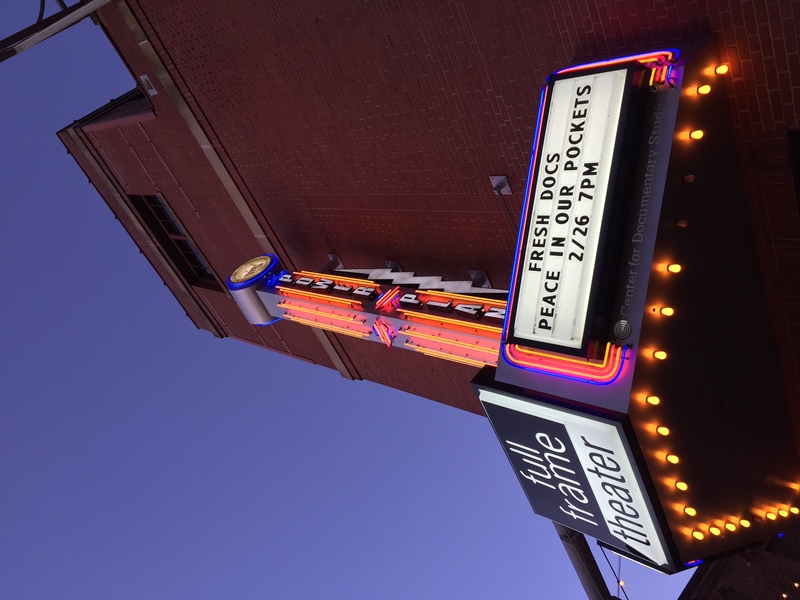 Peace in Our Pockets has its Durham, NC premiere as part of Fresh Docs Fri., Feb. 26th. 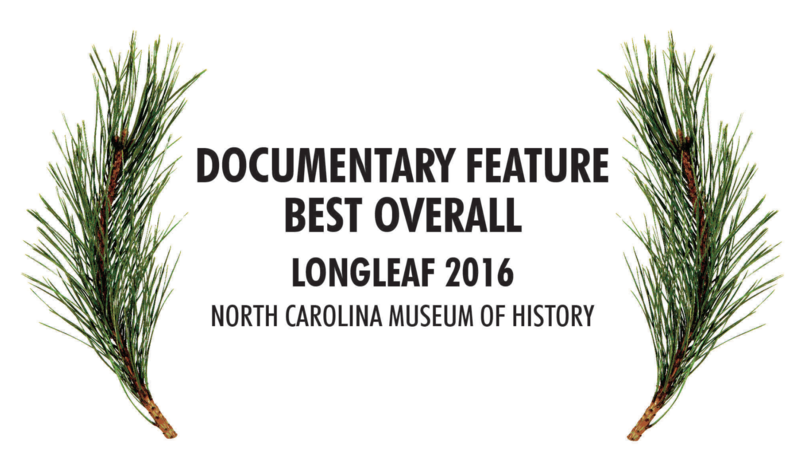 Fresh Docs is a program of the Southern Documentary Fund. These events are free and open to the public. Other Peace Film news for 2016…We are producing a limited number of DVDs to share with supporters and partners and will be streaming the film across a university viewing platform. 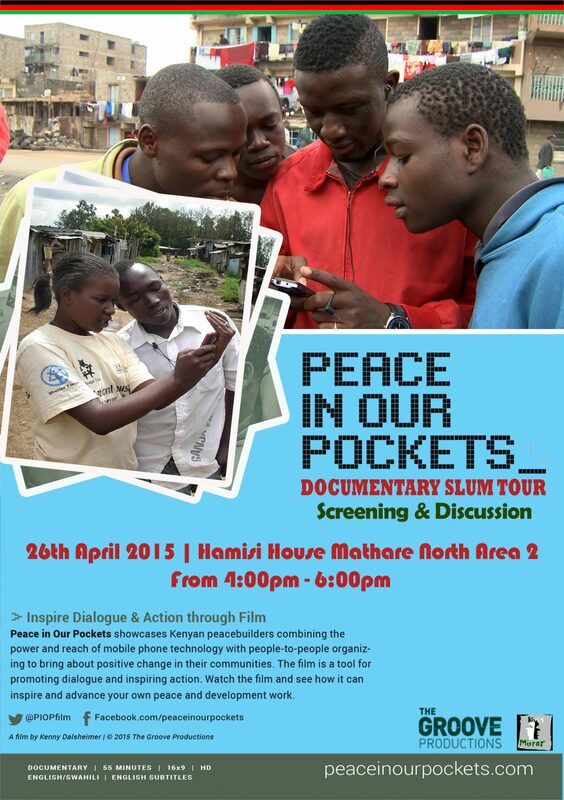 Peace in Our Pockets had its first screenings in Nairobi, Tana Delta, Kenya, South Sudan, and the Hague. 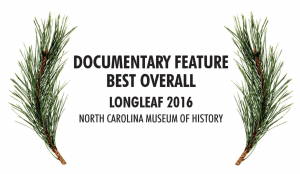 The film was an Official Selection at the Global Peace Film Festival 2015. 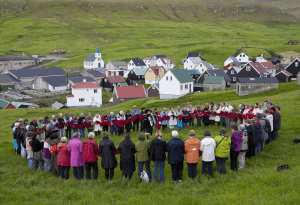 Check out the review in Building Peace, an online journal of the Alliance for Peacebuilding. 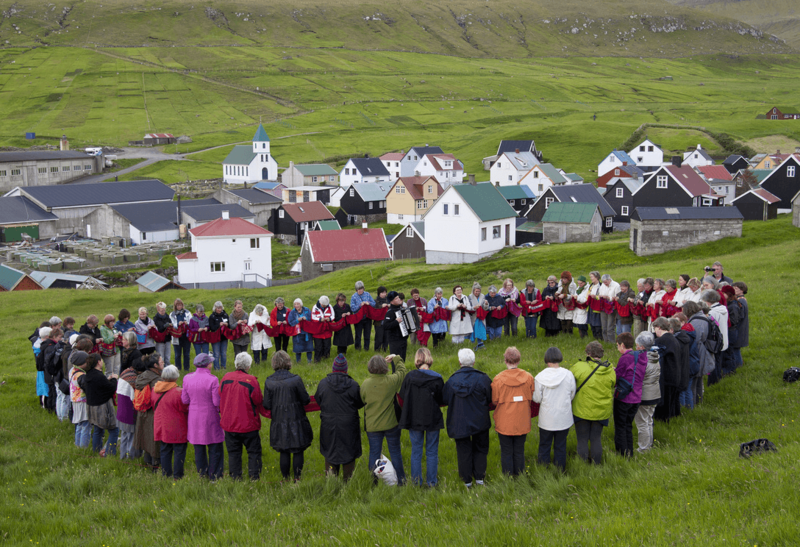 Visit our film website to learn more about the project and how you can see host and sponsor screenings. Finally, follow us on Twitter (@PIOPfilm) and Facebook. Kenny produced a video for the Alliance for Disability Advocates in Raleigh to promote the NC Youth Leadership Forum. 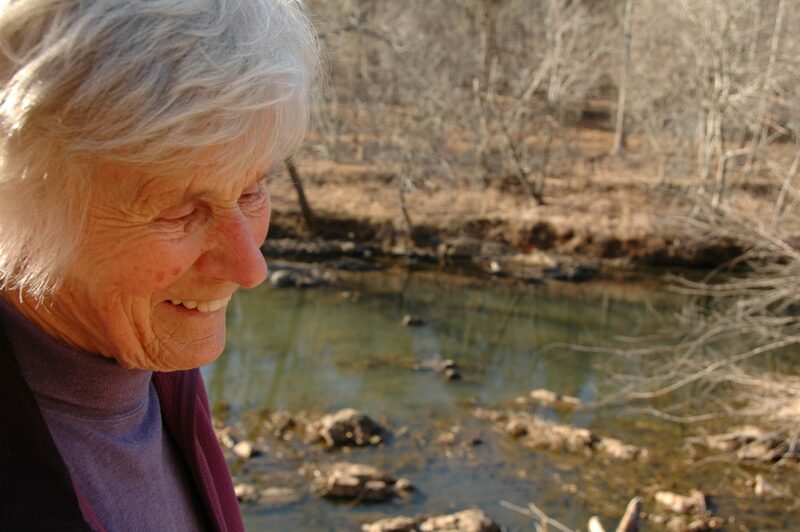 The forum is, “a dedicated group of people of all ages and abilities based out of North Carolina that seeks to promote independence, peer relations and advocacy among today’s generation. We do this by holding a yearly YLF in our state’s capital. With the passing of the ADA in 1990, the current generation’s opportunity for advancement is higher than it ever has been before, and we seek to take full advantage of the blossoming movement to educate ourselves and others about everything from disability history, to the independent living movement and important lawmakers and revolutionaries”. Hello My Friend: The Story of the Afghan Sisters School Partnership, video about a decade long intercultural exchange and service project between Carolina Friends School and the Topchi School in Bamiyan Province, Afghanistan is being shared with partners in Afghanistan and close to completion. The final video will be shared with schools and educators across the country and around the world to inspire peace education, service learning, intercultural exchange, and community development. A Weaverly Path: The Tapestry Life of Silvia Heyden is available on DVD and Blu Ray and is again being sold as a bundle with Silvia’s book, “The Making of Modern Tapestry”. Order at aweaverlypath.com. 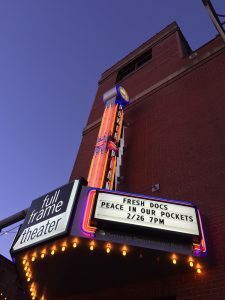 For a limited time you can preview Peace in Our Pockets . Please share with friends and colleagues and consider hosting a screening event or encouraging others to use the film to build peace.